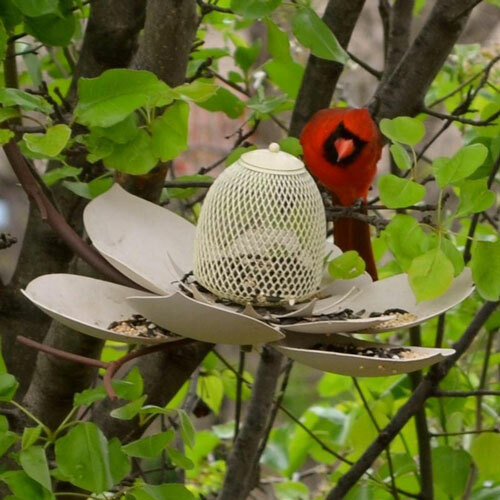 As beautiful as it is functional, our new sculptural bird feeder resembles a lush magnolia in full bloom. 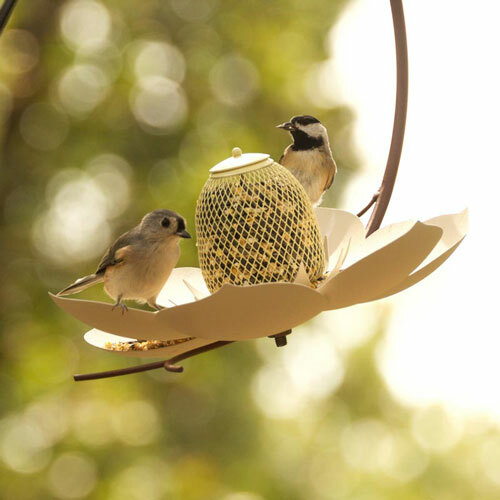 It adds a decorative element to the landscape while it lures your favorite backyard birds in to rest and have a snack. 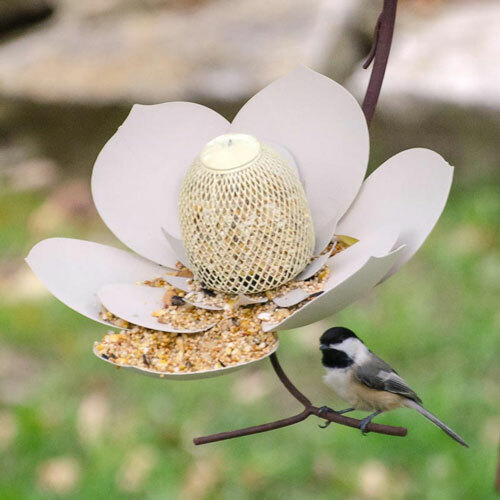 Easy to clean and refill, it holds lots of seed or feed to keep your feathered friends happy and well fed all season long. Includes a decorative metal hanger that can also be bolted to a deck railing, bench, garden wall or tree. Made of weather-resistant powder-coated steel, it is sturdy enough to last a lifetime with proper care. 12¾"L x 13"W x 16" Overall. Weighs 4 lbs.